Di Meo’s Dream Coming to Life at Indy Toronto This Weekend with Porsche GT3 Cup Canada. 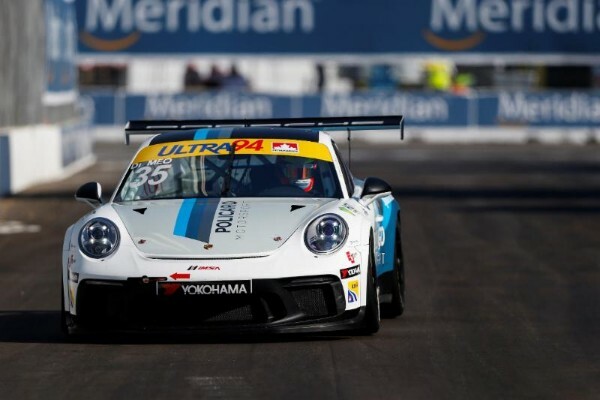 Attending the Honda Indy Toronto has been a family tradition for Ultra 94 Porsche GT3 Cup Challenge Canada by Yokohama driver Michael Di Meo dating back to 1999. While having watched from the spectator stands in years prior, Di Meo is back again this year in an entirely new role. This weekend, the Toronto native will be behind the wheel of the No. 35 Policaro Motorsport / SportsCarBoutique Porsche contesting the seventh and eighth rounds of the 2018 Porsche GT3 Cup Canada championship. Following Day 1 at the 1.755-mile Indy Toronto street circuit, the series rookie is off to a hot start at his home track. Di Meo ranked fourth on the charts after two practice sessions, 1.155 seconds off the time of overall leader Roman De Angelis in the No. 78 Mark Motors Racing Porsche. “At the beginning of the session, it was a little bit uncomfortable as all street courses are,” said Di Meo after Practice 1. “There’s no room for error at all, so I just had to get in my head to find the limit quick and build on that. It’s particularly tricky because the braking zones are asphalt and then in the middle of the corner it’s concrete, so the car handles completely different. And while Indy Toronto would be the perfect place for him to bring home his first podium of the season since joining the series at Victoria Day SpeedFest at Canadian Tire Motorsport Park in May, Di Meo also wants to deliver for his Policaro Motorsport / SportsCarBoutique team. Following two practice sessions on Friday at Honda Indy Toronto, Roman De Angelis in the No. 78 Mark Motors Racing Porsche paced the field ahead of Race 1 on Saturday. De Angelis’ best time of the day was set during the afternoon session, a time of one minute, 12.637 seconds (86.976 mph). Entering the seventh and eighth rounds of the Porsche GT3 Cup Canada championship this weekend, De Angelis is seeking his second win of the season to close the points gap on teammate Zach Robichon in the No. 98 Porsche. Robichon was second on the charts at the conclusion of Friday’s on-track activity, just .396 seconds behind De Angelis. Third fastest on the day was Remo Ruscitti in the No. 96 OpenRoad Racing Porsche. Ruscitti posted the best lap during the morning session and improved upon his time by nearly 1.5 seconds during the 45-minute afternoon practice. The Ultra 94 Porsche GT3 Cup Challenge Canada by Yokohama field starts off early on Saturday with qualifying at 9:20 a.m. ET. Race 1 set to go green at 5 p.m. and live timing and scoring for Race 1 is available here. Race 2 is scheduled for Sunday at 1:40 p.m. immediately prior to the IndyCar Series race. 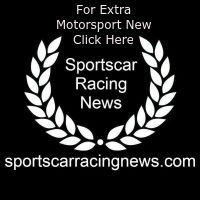 Race 2 can be streamed live on IMSA.tv. In between qualifying and Race 1 on Saturday is a 30-minute autograph session for fans onsite at Indy Toronto. Porsche GT3 Cup Canada drivers will be available for autographs and photos at the Yokohama Tire Service Center in the paddock from 3:15 – 3:45 p.m. Fans can also keep up with all the Porsche GT3 Cup Canada action on social media using the hashtag #GT3Canada.